The price was very reasonable. The staff was very helpful. Where to find Renfrew hotels near an airport? Where can I find hotels in Renfrew that are near tourist attractions? Considering there's only 1 quality accommodation option within a 0.1 kilometres (0.1 miles) of Renfrew's heart, consider booking a place to stay well before your departure date. The Days Inn & Conference Centre Renfrew is the nearest Expedia hotel to the heart of Renfrew, and is just a quick drive away. 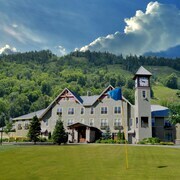 25 kilometres (16 miles) from the middle of Renfrew, is the Calabogie Peaks Resort. Alternatively, the Calabogie Highlands Four Season Resort is 20 kilometres (12 miles) away. Other Expedia-listed hotels include The Lakehouse in Calabogie and the Pine Lodge. Looking to venture a little further afield? Ottawa - Southeastern Ontario has a number of attractions. If you're a nature lover, be sure to explore Ottawa - Southeastern Ontario's forests, rivers and streams. In addition you could go to a selection of the area's old towns. Locals and visitors alike in this region of Canada can enjoy cross-country skiing and snow shoeing. 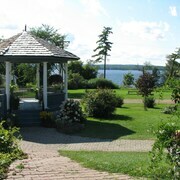 25 kilometres (16 miles) to the east of Renfrew is Arnprior, where you can enjoy the Arnprior Golf Club and Hydro Park. 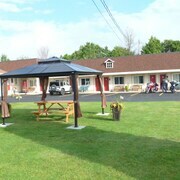 Arnprior hotels and accommodations are the Quality Inn Arnprior and Knights Inn Arnprior. 50 kilometres (31 miles) to the northwest of Renfrew you'll find Pembroke, home to the Holiday Inn Express Pembroke and Comfort Inn Pembroke. The Champlain Trail Museum and Pioneer Village and the Pembroke Hydro Museum are a couple of the most popular attractions to experience when visiting Pembroke. 75 kilometres (47 miles) from Renfrew is Ottawa, a regional center with a population of 800,000, home to great visitor attractions like the Parliament Hill, the National Gallery of Canada and Rideau Canal. The Canadian War Museum and the University of Ottawa are also well worth visiting. Should you wish to stay in Ottawa, check out the rates and amenities at the Hilton Lac-Leamy and Fairmont Chateau Laurier. If watching sport is your passion, take the time to visit Canadian Tire Centre, which is 60 kilometres (37 miles) to the east of Renfrew. Sleep nearby to the action at the Fairfield Inn & Suites by Marriott Ottawa Kanata or the Comfort Inn Ottawa West Kanata. Situated 80 kilometres (50 miles) from Renfrew is Macdonald-Cartier International Airport. 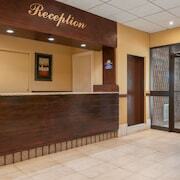 Stay nearby at Days Inn Ottawa Airport or Holiday Inn Express Hotel & Suites Ottawa Airport. What are the most popular Renfrew hotels? The Nest ! 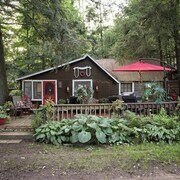 More Than Just a Cabin in the Woods! Are there hotels in other cities near Renfrew? 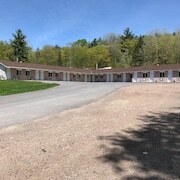 What other types of accommodations are available in Renfrew? Explore Renfrew with Expedia.ca’s Travel Guides to find the best flights, cars, holiday packages and more!